Chester Community Charter School opened a new campus in Aston this fall to accommodate growing enrollment. The school was approved last year to operate for nine years, though state law limits charter renewals to five years. The Pennsylvania Department of Education is questioning the Chester Upland School District's decision to renew its operating agreement with the state's largest brick-and-mortar charter school through 2026 while the school was just one year into its current five-year term. "If charters are going to be renewed right out of the chute, … they've already been approved before they've even performed," said James Flandreau, a lawyer for the department, at hearings this week ordered by a Delaware County Court judge. "Certainly, one year is way too early to evaluate any charter's performance." Kevin Kent, a lawyer for Chester Community Charter School, said the court-appointed receiver and school district could reevaluate the charter school at any point. "Nothing's been compromised," he said. Peter Barsz, the receiver for the financially distressed district, testified on Thursday that he had reviewed audits and school performance records and had support from the district's school board before approving the renewal request last year that allowed the charter school to operate through 2026. In exchange, the charter school agreed to forgo already-approved plans to add a high school. If the K-8 school — enrolling more students than Chester Upland's district schools — opened a high school, it would "decimate" the district, Barsz said Thursday. Charter schools are privately run but publicly funded. State law charges school districts with authorizing charters — and permits them to renew charter agreements for five years. Barsz couldn't have followed the law because it requires school boards to annually assess charter schools and conduct a "comprehensive review" over the previous five-year term before granting renewals, the state said in a filing this week. But lawyers for the charter school contend that the law doesn't specify when a charter school can be renewed. They also say that the charter law doesn't give the court a right to invalidate a renewal. That argument didn't appear to sway Judge Chad Kenney, who told lawyers for the charter school that it was his role to make sure the receiver was complying with state law. Still, "I don't know what I'm going to decide," Kenney said. Thursday marked the second of three hearings Kenney held this week. On Friday, state education officials testified to progress and ongoing challenges in Chester Upland in response to an order from Kenney to show why the state shouldn't terminate the district's financial recovery status. Chester Upland, which has struggled for decades, was designated a distressed district in 2012 by the state, which then sought the appointment of a receiver to oversee the school system. While state officials testified that the district faces a budget deficit next year, Kenney questioned to what extent inadequate state funding was to blame. "We can't be on the right track vis-a-vis Lower Merion," Kenney said. Comparing Chester Upland to better-off districts is "apples to oranges … until there's some change in how school districts are funded." Kenney, who didn't issue any rulings, commended the three brick-and-mortar charter schools in Chester for previously agreeing to accept lesser payments from the district for special education students. Without the arrangement, "it would be a total disaster right now," Kenney said. But Kenney called it a "significant disappointment" that the state wasn't involved in the Chester Community Charter renewal process. Asked by Flandreau whether the charter school was "distinguishing itself academically" from other schools in the district at the time of the renewal, Barsz said, "Not significantly different than anyone else." He said most schools in the district were "severely underperforming." Of the district's performance, David Volkman, the Education Department's executive deputy secretary, testified Friday that state education officials visit Chester Upland four times a year and have brought support, including for special education. "We're wishing the kids were doing better, certainly," he said. Pressing Barsz Thursday on the rationale for the Chester Community Charter renewal, Flandreau asked whether the school could expand its K-8 enrollment under the agreement and "essentially, over the next nine years, hollow out" the district's elementary and middle schools. "I suppose so," Barsz said. He acknowledged that another entity could seek to open a charter high school. Later, Kenney asked Kent, the charter lawyer, "why the urgency" to get the renewal. Barsz had granted the renewal weeks after Kenney reappointed him receiver, over the state's objection. Kent said the longer term "brings assurance to lenders." 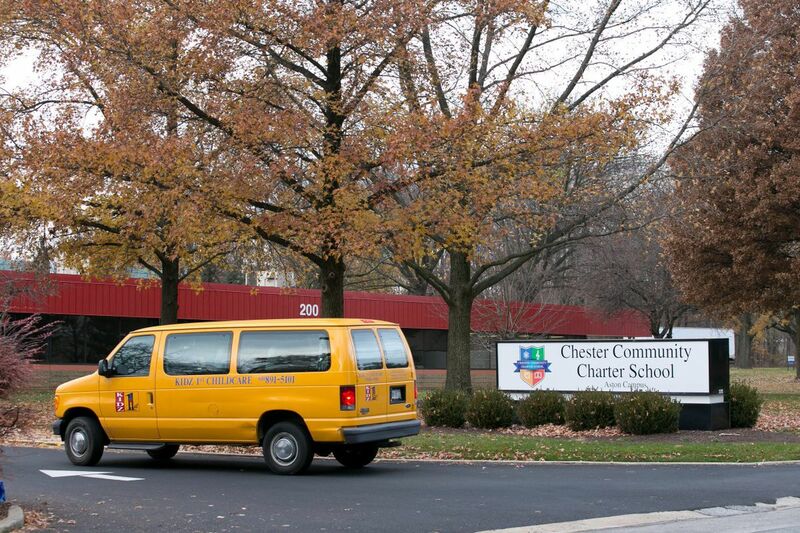 Operated by for-profit CSMI, Chester Community first received a charter from the school district in 1998. The district's elected school board — which has power to approve taxes — supported Barsz's decision to renew the charter, although "we might have had a public meeting," School Board President Anthony Johnson testified Thursday. The board hadn't known that Chester Community Charter was previously approved to open a high school and wanted to prevent that possibility, said Johnson, who also testified this week in support of returning the district to local control. "People vote with their feet. When we struggle in the district," families can leave, Johnson said. The district is limited in its ability to grow its elementary-school enrollment, because it doesn't have additional building space, Johnson said. But he said it has a "gentlemen's agreement" with CSMI's CEO, Vahan Gureghian. Johnson said that Gureghian, a lawyer and entrepreneur who is a major GOP donor, agreed he "wouldn't recruit heavily in Chester anymore," instead focusing on the Philadelphia, William Penn, and Upper Darby School Districts. Since 2014-15, the number of Philadelphia students attending Chester Community Charter has grown from 45 to 1,131. Along with the agreement on special education payments, "that has saved the district," Johnson said.